Yesterday I wrote about my college boyfriend (who bought me the complete works of Jane Austen for Valentine’s Day) and my current beau, The Wedding Date (who bought me a Jane Austen necklace for Christmas instead). As noted, the complete works don’t make for a very good gift if your significant other already has the complete works (unless it’s some sort of special collector’s edition, which is a totally different story, but frankly I’d still prefer jewelry). I never realized just how much Jane Austen merchandise exists nowadays, but there’s tons of it, so I’ve compiled a list of the highlights (including Darcy pajamas… for men!) 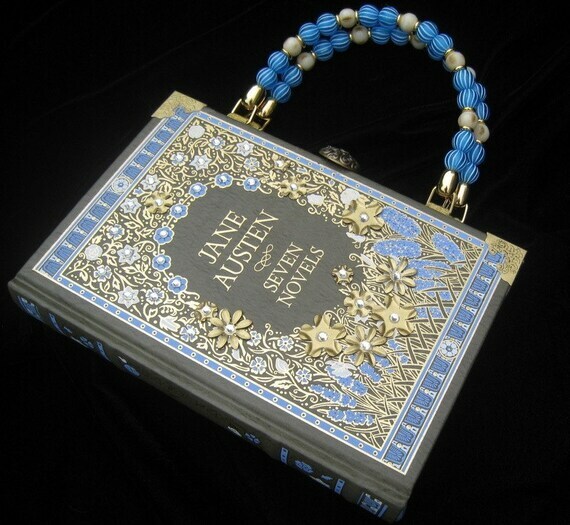 in order to help you find the perfect Valentine’s Day gift for the Janeite in your life. 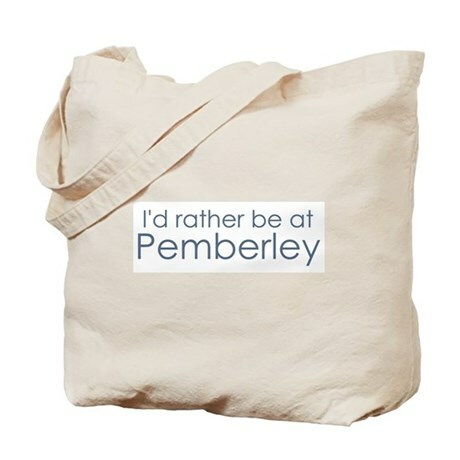 Don't worry if you don't know what Pemberley is; chances are, your girlfriend does. 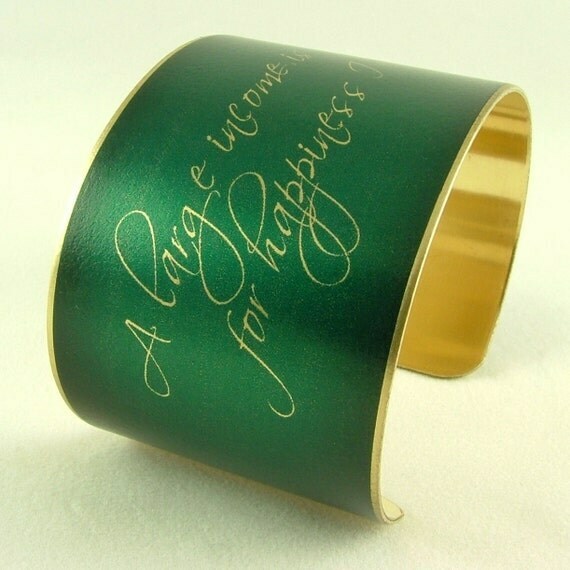 Mansfield Park bracelet: "A large income is the best recipe for happiness I ever heard of." And finally... a little something for the men! I'm pretty sure these will increase your chances of getting laid by about 99%. So, what works for the Jazzercise-addicted girlfriend? I want the iPad case… or at least the truth behind the saying on the iPad case! Very sorry for my irnngaoce, Roy, I thought you would not read so many romances as I used to. Mr Bennett, you played! That’s one of the best images of a father I’ve ever read.A great piece of art can be appreciated with different levels and angles. Maybe when I read Jane Austen’s novels again, I will have some new experience of seeing a more profound side. Do you know a good film production of the Pride and Prejudice? I haven’t found a very satisfying Elizabeth yet but many good Mr and Mrs Bennett. ooh, now I know what your Oscar persona should be!!! Love the pj’s! 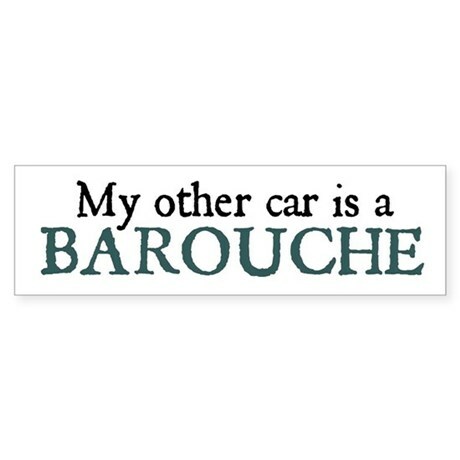 Too funny, and I bet there are many more JA items out there. -she has 15+ years worth of Jazzercise “stuff,” from recyclable grocery bags to license plate surrounds, water bottles to key chains. No joke. Site note: every song that comes on (almost every song…) Ms. D says, “that’s a Jazzercise song,” which I still find cute. Note to single ladies: Do NOT buy YOURSELF the Mansfield Park bracelet: “A large income is the best recipe for happiness I ever heard of.” It will scare off men, who’ll think you’re seriously just golddigging. These are cute. The purse is so quirky looking. It wouldn’t get used, but it’s cute. Maybe you need to review this Kat! You never puelld an all-nighter in college in order to finish homework but you did pull an all-nighter to finish that long fabulous fanfic you were reading at the Derbyshire Writers Guild You did a paper in grad school on regency period culture, and then couldn’t get past the first half of the new P&P because of your annoyance at Kiera’s hair You actually know which adaptations P&P0, P&P1, P&P2, and P&P3 refer to. In addition, you have the problem of constantly wanting to refer to the 1995 miniseries as P&P2 to people WHO DO NOT KNOW THIS and thus end up having to edit your facebook status.